Hair loss treatments steadily evolved over the years drawing clinics to perform a follicular unit strip surgery (F.U.S.S.) procedure. FUSS was discontinued by the Alvi Armani team due to its invasive nature, extended healing time, bleeding, and scarring. 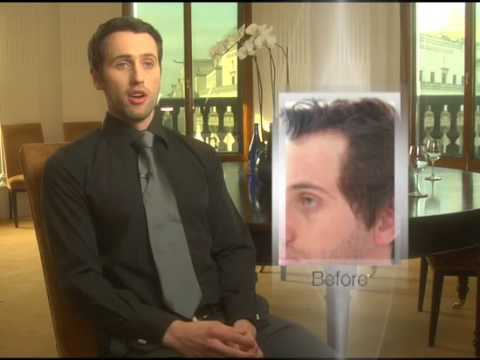 The hair transplant industry is witnessing the revolutionary Alvi Armani proprietary Vitruvian FUE method concentrating on the Vitruvian design, encompassing natural hairlines, maximum density and strategic placement. The method also employs a trademark donor hair restoration technique known as Maximus FUE. Maximus FUE's microscopic hair removal technique abolishes surgical instruments allowing skin to heal naturally. Abolishing surgical instruments reduces pain, improves healing time, and avoids large permanent scarring at the back of the head. The technology allowing availability of follicles to be harvested in the future, presents an advantage over older strip surgery FUSS. Maximus FUE hair replacement procedures are a major technological breakthrough sought by patients around the globe. Alvi Armani... A New Era in Hair Transplants.